Fuel economy still matters to buyers who can afford a car approaching six-figure territory, but that doesn’t mean hybrid variants of luxury sedans are especially popular. Lexus expects this hybrid version will account for only about 10 percent of all 2018 Lexus LS sales; when we’re talking about a car projected to sell 1,000 units per month in the U.S., that’s not much. But spending some time behind the wheel reveals that the LS hybrid ably manages to blend its virtues of thriftiness and stateliness. Its powertrain is borrowed from the LC 500h coupe: there’s a port- and direct-injected 3.5-liter V6 engine mated to two electric motor/generators, along with a complicated transmission that combines both a CVT and a four-speed automatic. 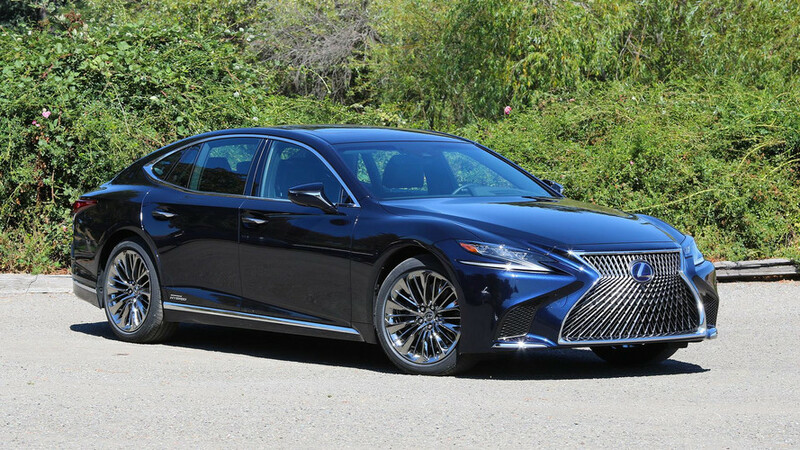 Otherwise, though, you’ll find all the same luxury touches and features as in the regular Lexus LS 500, meaning this hybrid is a pretty pleasant way to save fuel behind the wheel. Drives like a non-hybrid. Aside from the powertrain (more on that below), the LS 500h feels just like the non-h models. The brake-blending is flawless, with almost no discernible difference in pedal feel or travel between the regenerative and friction brakes; that makes smooth, predictable stops easy. The steering and suspension, too, closely mimic those of the non-hybrid. If you take away the engine, then, the hybrid drives just as well as the standard LS: smooth, competent, and easy to use. The subtle hybrid. There are no glaring indicators from the outside that you’ve picked the hybrid: no bright-green brake calipers, for instance, or overly blatant badges. 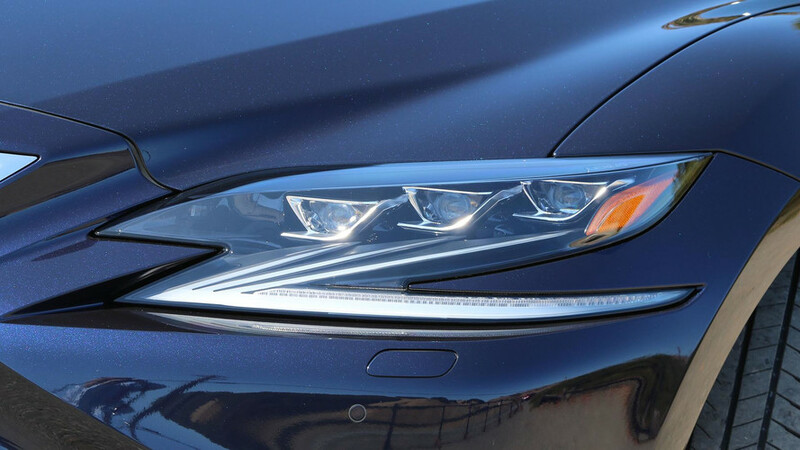 While eco-conscious buyers may want to flaunt their car’s hybrid credentials, for other luxury shoppers, the LS 500h’s discretion is a plus. Mild bodywork tweaks, however, do make the hybrid a tiny bit more aerodynamic, with a drag coefficient of 0.27 versus the regular LS’s 0.28. Noticeable fuel economy gains. 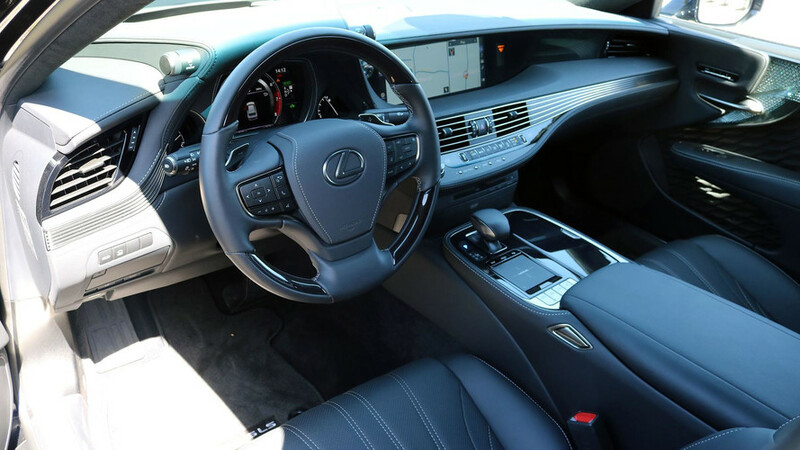 With rear-wheel drive, the LS 500h posts an extra 6 miles per gallon city and 4 mpg highway, at 25/33 mpg. The all-wheel-drive model posts slightly smaller gains, but adding 5 mpg city and 4 mpg highway, for totals of 23/31, is still a nice boost in efficiency. Still crazy accommodating. 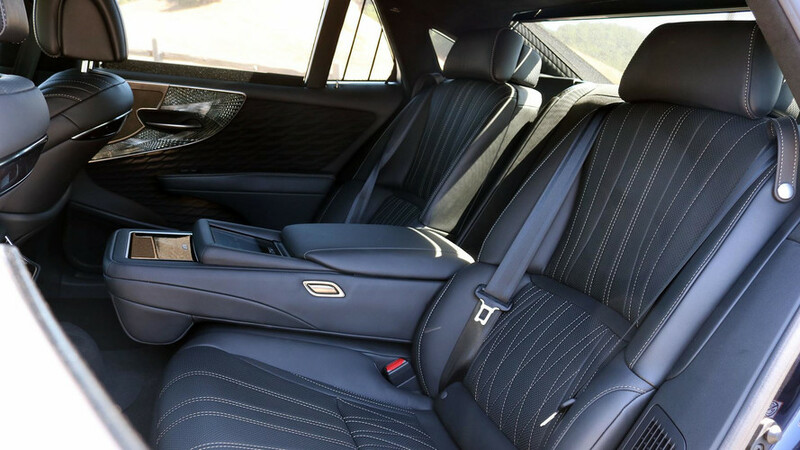 Massaging seats, a powered ottoman for the right-rear passenger, silky-smooth air suspension, and an impressively crisp 3D surround-sound system make the inside of this LS more glamorous than my living room. 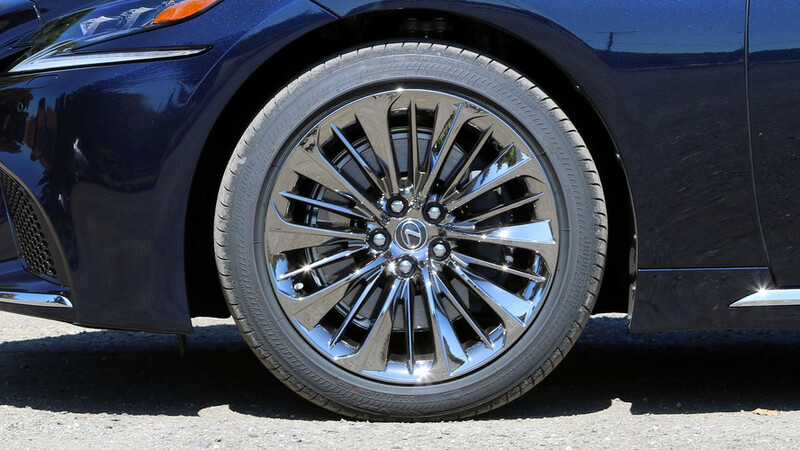 Like the non-hybrid, you’ll be hard-pressed to find fault with this car’s quietness, comfort, or amenities. Deal-breaker transmission. The way the transmission delivers power to the road would preclude me from buying this car on its own. It has all the downsides of a traditional CVT, with the same “rubber band” effect that frustrates in many other hybrids. Accelerate and the engine’s revs will soar out of pace with how fast the car builds speed; I never feel a sense of directness when accelerating. It’s a frustrating dichotomy from the precise and smooth 10-speed automatic in the standard Lexus LS 500. Add in the fact that the engine thrashes and moans at those higher revs, and it’s enough to make me want to simply spend the extra in gas for the non-hybrid LS. Distracting infotainment system. Just like in the regular LS, the touchpad-based infotainment system is both a chore to use and endlessly distracting. Simple tasks like turning on the heated/cooled seats or picking a satellite radio station require jumping through multiple menus, and using a cursor that’s activated by a touchpad always requires taking my eyes off the road. It doesn’t plug in. Where most of the Lexus’s rivals are plug-in hybrids, the LS is not. Lexus officials explained that away by noting that it can be tough to find a charging spot, that this powertrain was focused more on performance, and so on. But it feels behind the times, especially for a company focused on developing alt-fuel vehicles like the Toyota Prius Prime and Mirai fuel-cell car. Quit whining. Perhaps partly because the cabin is so good at excising road and wind noise, electrical whining is quite noticeable when using the regenerative brakes or driving with the engine off. It’s a high-pitched sound that irks me given that the car otherwise stays very quiet.